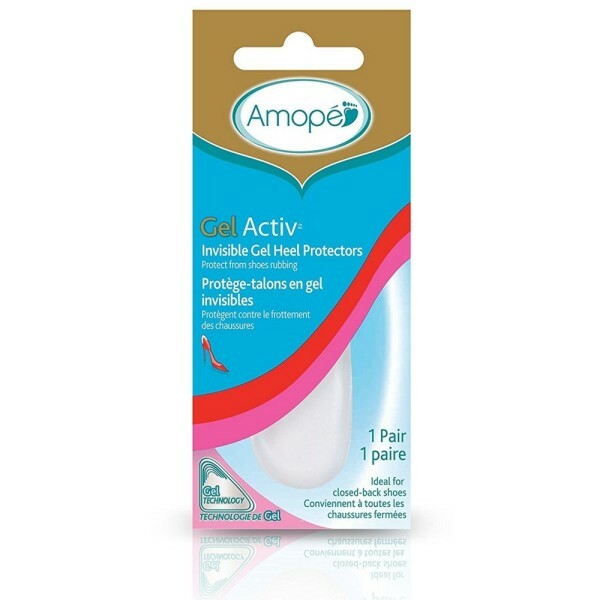 Protect your shoes from rubbing with our Gel Technology, perfect for closed back shoes. 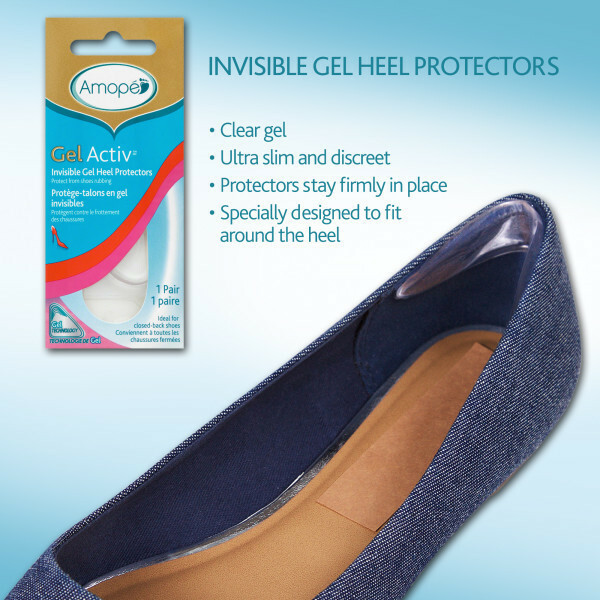 Amope GelActiv Invisible Gel Heel Protectors help provide pain relief by sitting firmly around the heel. The Gel Heel Cushions are designed using ultra-soft transparent gel providing an ultra slim and discreet look. Our innovative GelActiv advanced technology is developed with two gels to absorb mini shocks. The firm gel helps support the heels of your feet, while the softer gel helps promote optimum shock absorption.